Snow Leopard Portrait cross stitch pattern... 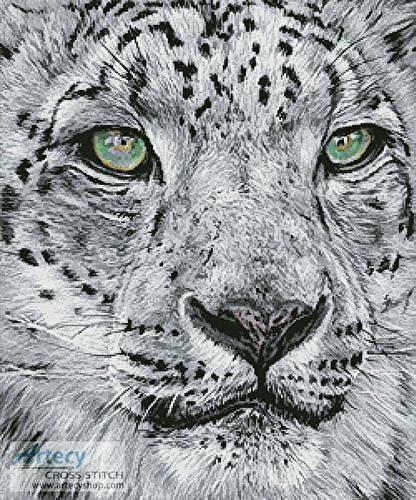 This counted cross stitch pattern of a Snow Leopard was created from artwork by Lisa Ann Watkins. www.animalartbylaw.co.uk Only full cross stitches are used in this pattern.